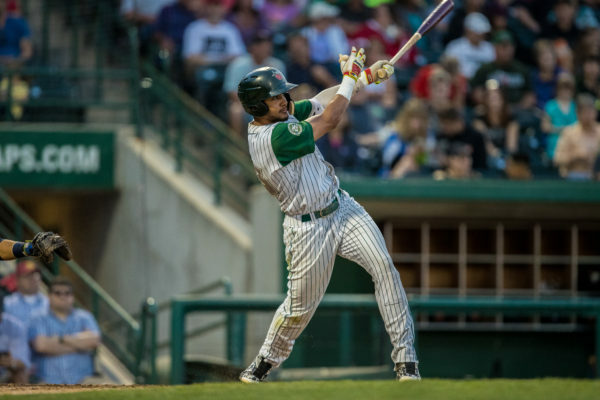 How Much of a “Sure Thing” Is Padres’ Top Prospect Fernando Tatis Jr.? 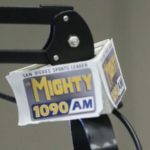 It’s an exciting time for the San Diego Padres’ farm system. Baseball America and MLB Pipeline have each released their initial 2018 Top 100 Prospect lists. One of the things they agreed on was that Padres’ top prospect Fernando Tatis Jr. is a top 10 prospect in all of baseball. Baseball America ranked him 9th and MLB Pipeline had him at 8. 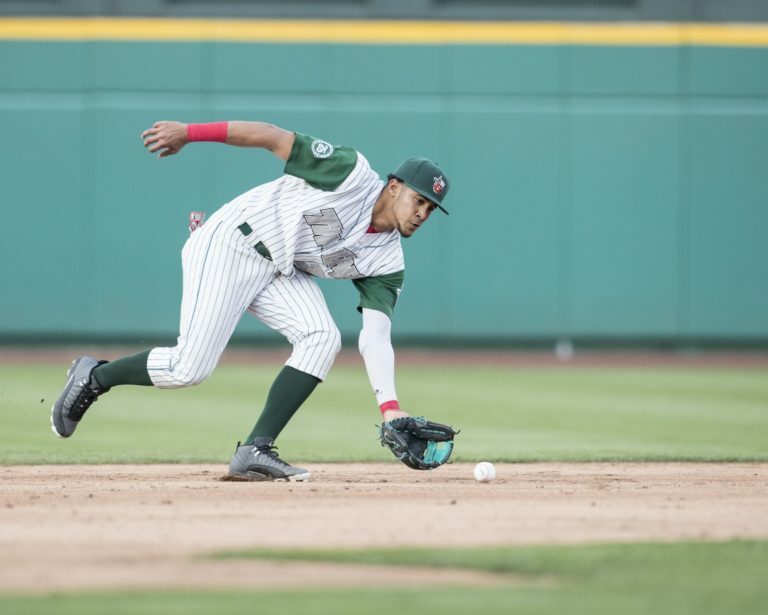 Most scouts are very complimentary of the 19-year-old shortstop, saying things like “he has the ingredients to become an offensive force in the Majors” and “(his) bat gives him the ceiling of a perennial All-Star even an MVP candidate.” He was a teenager in the Midwest League for Single-A Fort Wayne and had a 20/20 year with 21 home runs and 29 stolen bases. He certainly merited a promotion and received just that, to Double-A San Antonio. It took a while for him to find his sea legs there, but after 14 games, he hit .255 and hit his first career Double-A home run on August 28th. In his last five games, he seemed to finally adjust and hit .400. 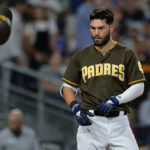 Padre fans are obviously excited, but the question is, how much of a sure thing is Tatis? How often do top 10 prospects work out? I did some extensive research, but before we dive into the results, we need to define what “working out” means in terms of prospects. Let’s define that as a player who either averages more than one WAR per season or has been an All-Star at least once. 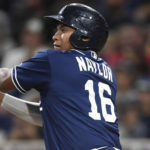 I looked back on the top 10 lists from 2007 to 2016 to see what the chances are that Tatis works out. Now, we all know nothing is guaranteed in this life except for birth, taxes, and death. And also, perhaps, we Padres fans griping to management about how terrible the uniforms are and that we should go back to brown. Certainly there are recognizable names on there. Seven of them absolutely worked out. Matsuzaka finished fourth in A.L. Rookie of the Year voting in 2007 and helped lead the Red Sox to their second World Series title in four years. Gordon and Longoria have eight Gold Gloves between them. Upton is a consistent presence at the plate. 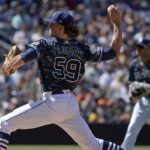 Miller has become one of the most intimidating relievers in baseball. Throughout the next nine years, several guys from the top 10 rankings went on to become superstars. Guys like Clayton Kershaw (2008), Madison Bumgarner (2009), Stephen Strasburg (2010), Giancarlo Stanton (2010), Bryce Harper (2011), and Mike Trout (2011) all graced this exclusive list. The most comparable players to Tatis that I found were Longoria, Carlos Correa, and Corey Seager. If Tatis turns out like any of those guys, the Padres will be on Cloud Nine. The only shortstop or third basemen on these lists that were busts with similar measurable skills to Tatis was Brandon Wood in 2007. Most of the other players in those positions have worked out. Now to the numbers. There were 68 different players on Baseball America’s Top 10 lists from 2007 to 2016. Of those 68, 54 of them have worked out to either have more than one WAR per season or have become All-Stars. That’s 79.4%. So in essence, you could say Fernando Tatis Jr. has nearly an 80% chance of being a good contributor to the San Diego Padres. I will take those chances. As most of us are, the Padres are hoping Tatis becomes more than just an everyday contributor. They are hoping for him to be a superstar. I would define susperstars as averaging at least 4 WAR per season or at least three All-Star appearances. Of those 68 players, 17 have met my criteria of “superstar,” about 25%. So a quarter of these players have become stars. 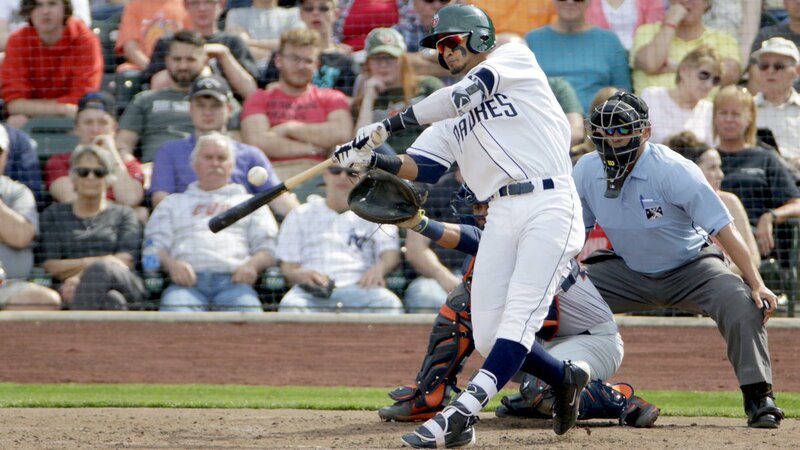 In conclusion, is Tatis a sure thing? Nothing in this life is 100% a sure thing except those things previously mentioned. Things outside anyone’s control could alter his fate. Who knows? However, the chances of him becoming an everyday contributor in the Padres’ lineup are pretty good. Judging by the last 10 years, it seems he has about a 25% chance of becoming a star. It’s tough to find a star, and those are decent odds. Noticeably absent in the 2007-2016 rankings were any players in the San Diego Padres’ organization. 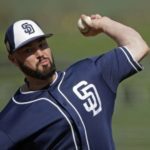 In fact, the Padres have not had a top 10 prospect since 2002, in Sean Burroughs. With that, I don’t need to explain to Padres fans that it doesn’t always work out. 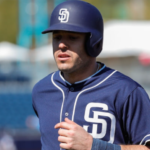 It’s been a long time since the Padres have groomed a star through the minors. 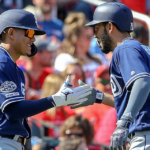 Tatis could be a player to change that and much more for this organization. Native of Escondido, CA. Lived in San Diego area for 20 years. Padres fan since childhood (mid-90s). I have been writing since 2014. I currently live near Seattle, WA and am married to a Seattle sports girl. I wore #19 on my high school baseball team for Tony Gwynn. I am a stats and sports history nerd. I attended BYU on the Idaho campus. I also love Star Wars.